McLaren has a plan called Track 22 including a bunch of goals the supercar company wants to see completed by the year 2022. One of those goals happens to be deciding whether or not the successor to the McLaren P1 is going to be fully-electric. Hope you’re cool with that. We already knew about Track 22 earlier this month, which includes plans for 15 new products, none of which will be an SUV, with over half of the McLaren lineup featuring a traditional hybrid drivetrain. But what about the Next Big Thing? 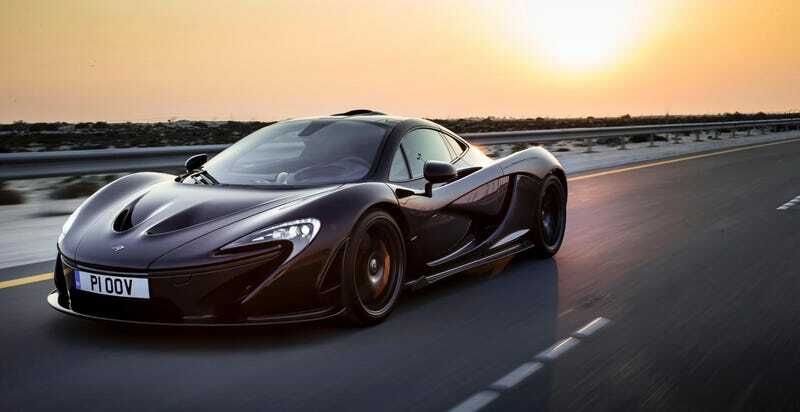 According to a report from Roadshow, it was revealed at a media dinner that McLaren will spend some of its recent billion dollar self-investment money on researching the feasibility and marketability of an all-electric hypercar. The automaker has not yet made an official announcement to this end, and it likely won’t for a while. Rather than being an explicit successor, the company’s EV research is going to help it decide whether or not an all-electric Ultimate Series car would be viable. A McLaren representative told Goy that any forthcoming Macca would obviously need to sound and feel like a McLaren, no matter what’s powering it. I’m sure the McLaren garage could deliver on the “feel like a McLaren” aspect, but it’ll be interesting how they try and tackle the “sound like a McLaren” part. But with companies like Rimac and, of course, Porsche and Ferrari all likely looking to the next best thing, an all-electric hypercar is at least worth a look. Hopefully whatever they come up with continues to best even the most average of hatchbacks.